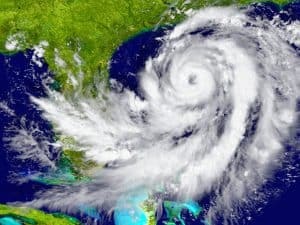 The key to protecting your boat and home from hurricanes is to get prepared well in advance of any threatening weather. Hurricane season should be taken seriously, especially if you live on the Eastern seaboard or the Gulf of Mexico. Hurricane season starts June 1st and lasts until the end of November. 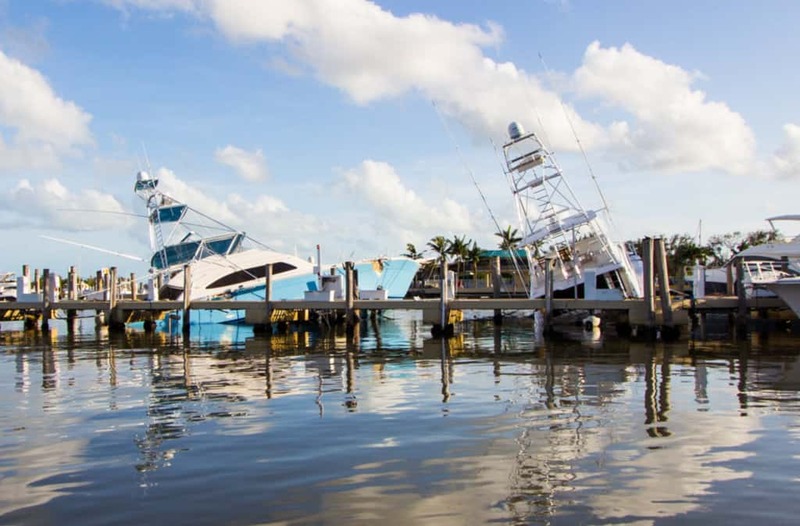 While there is nothing you can do to prevent a hurricane from occurring, there are a number of preventative measures you can take to prepare your boat and dock for the conditions they may be exposed to during a tropical storm or hurricane. Take a look at your seawall during low tide. 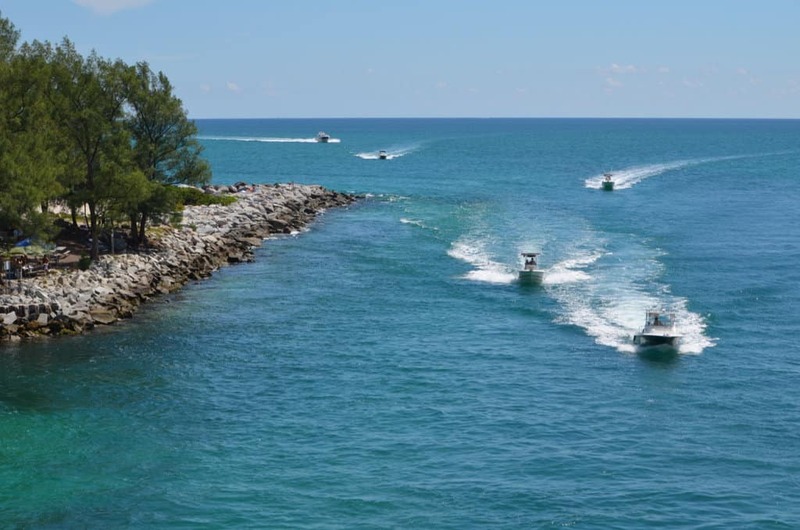 If you notice any cracking, shifting or leaning of the seawall, bowing, or erosion of the ground around the seawall, it is best to get it inspected by a professional marine contractor. 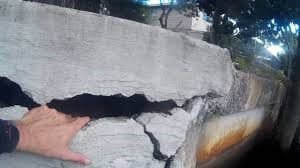 There are certain types of cracks which are just cosmetic, however, it takes a trained eye to know when the structural integrity of the seawall has been compromised. 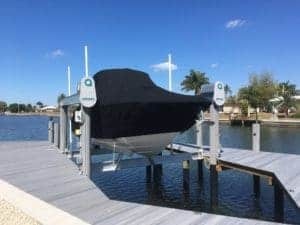 If your dock is old or in bad condition, it may not be able to withstand the high winds and rough waters during severe weather. 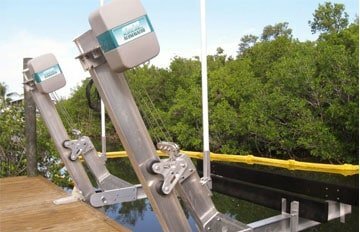 The integrity of your boat lift is only as good as the underlying structure. 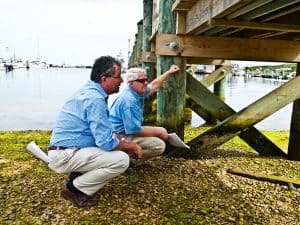 It is a good idea to have your dock and pilings inspected by a professional to make sure they are in good condition and will not break apart and damage your boat, house, or surrounding structures. The most important thing is to have an emergency preparedness plan for your family. For help creating an emergency preparedness plan, you can consult this really good guide. Next, you will want to secure your home before an impending storm hits. 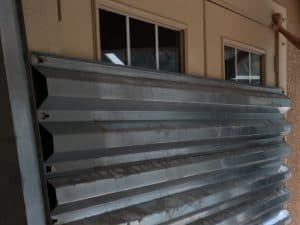 It goes without saying that you should install your hurricane shutters (or board up windows), sandbags and other safety devices. There are many obvious precautions to take when it comes to things outside your home. For instance, you’ll want to bring in outdoor furniture, potted plants, and anything else that may blow away in the wind or potentially harm your home or neighbors’ homes. You should think about the specific needs of your family and then assemble a disaster supplies kit. For helpful suggestions of essential items, take a look at the following emergency kit guide and checklist. The first thing to do is to secure your essential documents in a safe location on dry land. 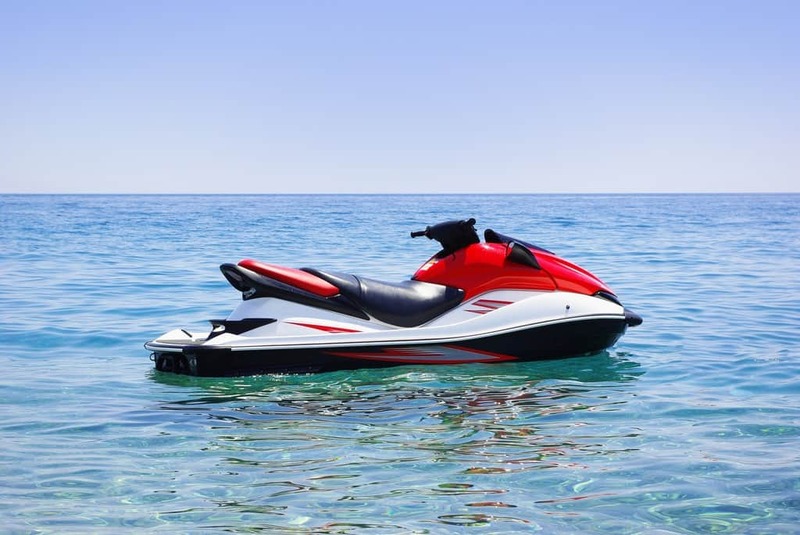 You will want to have photos of your vessel and home, an inventory of items in your home, an inventory of equipment on your vessel, contact phone numbers including your insurance company, copies of your insurance policies, a copy of your vehicle registrations and any other documents you deem essential. Next, you should turn off the boat’s electrical system and remove the battery. Remove any detachable equipment from the vessel to prevent breakage (such as radios, sails, canvas, cushions, dinghies, and other equipment). Lash down anything that can’t be removed, such as wheels, tillers, and booms. To prevent chafing, wrap protective covering around your lines wherever the ropes touch the boat. Seal off all windows, doors, and hatches. Finally, make sure to shut off your boat’s fuel lines. 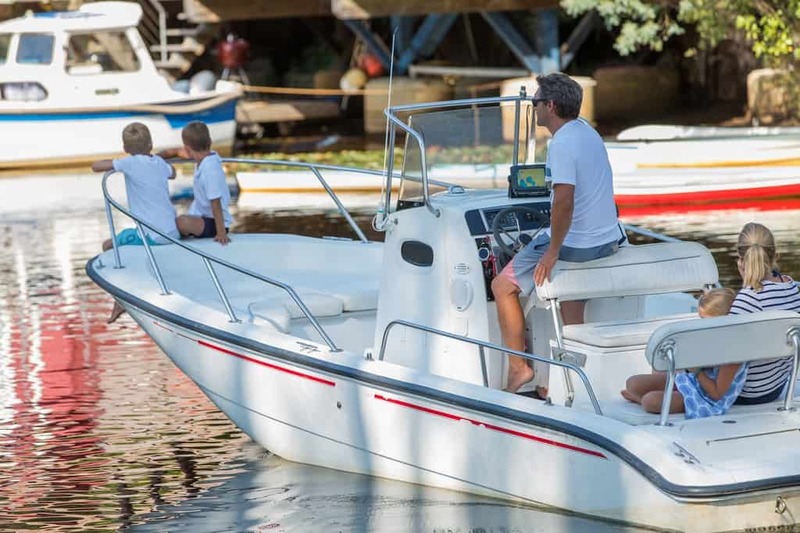 To prevent or minimize damage to your boat, you must make sure it is stored properly. While the best solution is to relocate the vessel out of the storm area, this may not be practical based on personal safety factors and limited availability of time and resources. Taking it to storage on dry land, if you have that option available, will be the next safest option as the vessel will be protected from rough water and storm surge. As a rule, boats tied to docks are at greater risk than boats kept at moorings or on anchors. Floating docks are rarely strong enough to take the loads exerted on them by boats in storm conditions. In addition, if the storm surge or tides are extremely high, floating docks may simply float off the pilings which hold them in place. A boat kept at a dock can’t weathercock (face into the wind) as storm winds change direction. Therefore, the boat at a dock almost always presents more windage than a boat secured to moorings or anchors that is free to swing head to wind. The BoatUS Marine Insurance company wrote an excellent article on preparing boats for hurricanes. 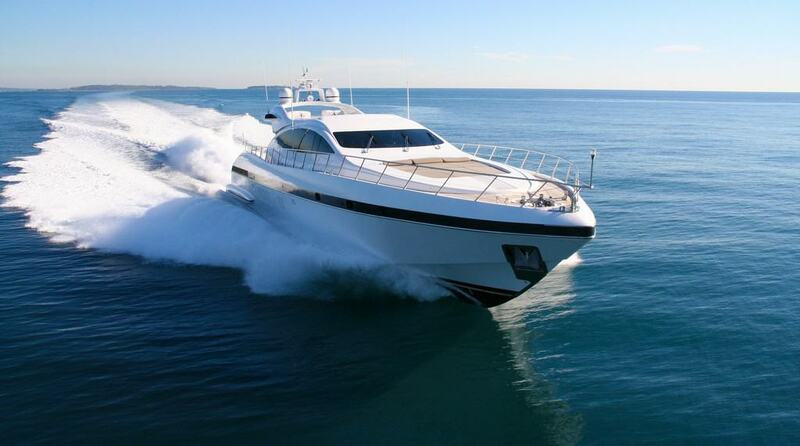 It discusses the various forces that can damage your boat during a hurricane. 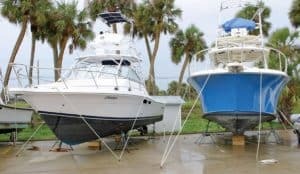 It then discusses the pros and cons of securing your boat ashore, at dock, in hurricane holes, on high-rise storage racks, on davits, on boat lifts, on trailers, at a mooring, at anchor or both. It provides step-by-step instruction on how to position your boat and arrange the lines for each of the possibilities. It also discusses other critical points that will help minimize the potential for damage during severe weather. 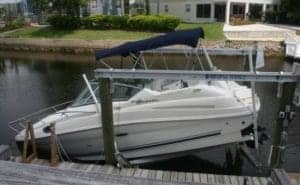 We do not recommend securing your boat to the boat lift during a hurricane. 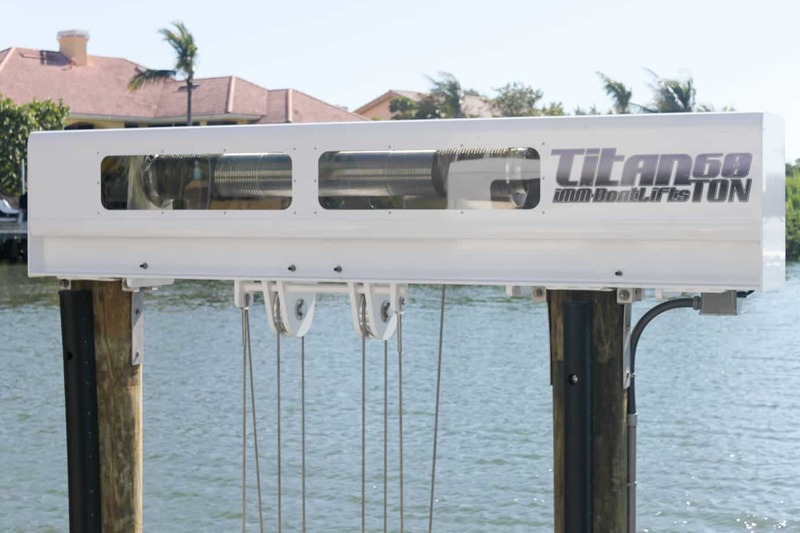 A boat lift is not the ideal place to store your vessel during a hurricane, as it is possible for the storm surge to rise higher than your lift. Furthermore, your boat has a lot of surface area relative to the piles and will greatly increase the wind force on the piles. Leaving the boat on the lift will increase the likelihood that hurricane force winds will break the piles (or lift them up out of the seabed) and cause your lift to collapse. 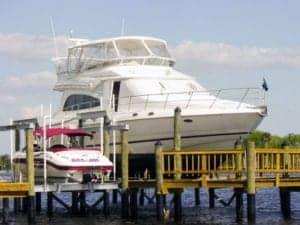 Therefore, the first step of preparing your boat lift for a hurricane is to remove the boat and store it someplace safe. Once the boat is removed, raise the cradle beams as high as you can and tie off the cradles to the piles. If you have an elevator style lift, use extra lines to secure the cradle arms to help minimize the potential for them to sway in the wind. If you think the storm surge will swamp the lift, remove the boat lift motors, gearboxes, switches, covers & store in a dry safe place. Make sure you secure the cradles to structure BEFORE removing the gearbox as the cradles will fall down without the gearbox holding the cables in place. 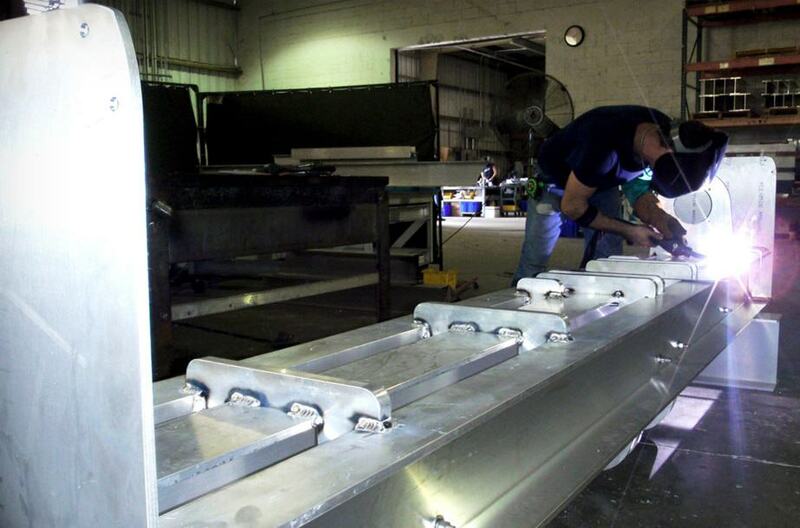 If you want to go the extra mile, you can reinforce your lift and piles using aluminum I-beams. Bracing your lift enables you to securely lock each corner of your lift’s cradle to its piling and creates one solid structure between the four pilings and the four corners of your lift. Your cables are one of the weak points of the lift and the bracing will also support your cradles if the cables break. 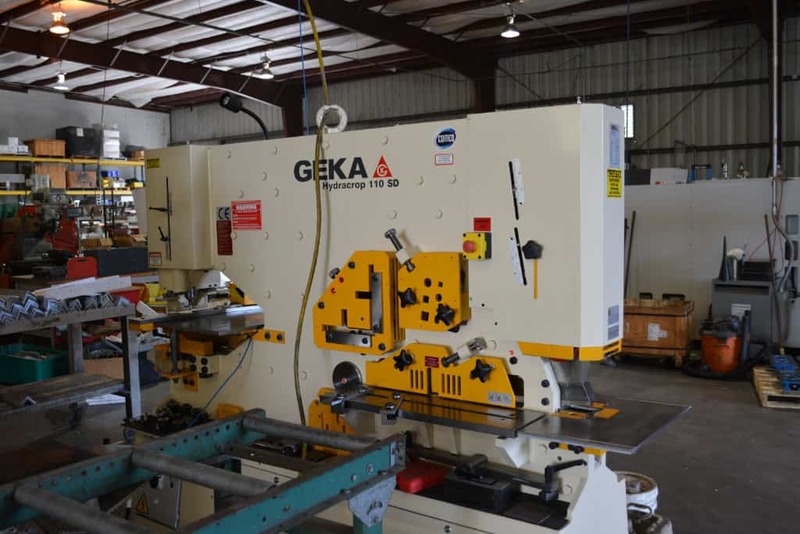 To accomplish this, you run an I-beam under each lift top beam and secure them to the slip side of the piles with U-bolts, aluminum backing plates, and lock nuts. Then, the cradle beams will rest on and be secured to the I-beams. Our engineers can help you size the appropriate components and provide instructions for their installation. Or if you prefer an all in one kit, they are available from companies like Swing Stoppers. What if you have no choice but to leave the boat on the lift? 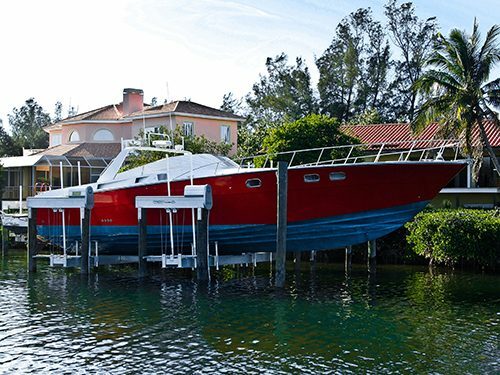 If storing your boat somewhere else is not an option, knowing the amount of storm surge (the expected height of water above normal predicted tide) is the determining factor in how to best secure your boat to the lift during a hurricane. If you are 100% confident that the storm surge will be below the raised height of the boat, you can take the following steps. Prepare the boat and lift as described above, leaving all lift equipment installed. The most important factor is to create a drainage system to prevent water from collecting in the hull and overloading the lift. It is not a good idea to rely on bilge pumps and batteries for draining the water since they can become overloaded (or fail) in a storm. Remove the boat drainage plug(s) so the water can drain out by gravity, lessen the strain on the bilge pumps and prevent the lift structure from overloading. If possible, slightly tilt (1-2 inches) the boat on the lift so that the rainwater will run out of the scuppers. 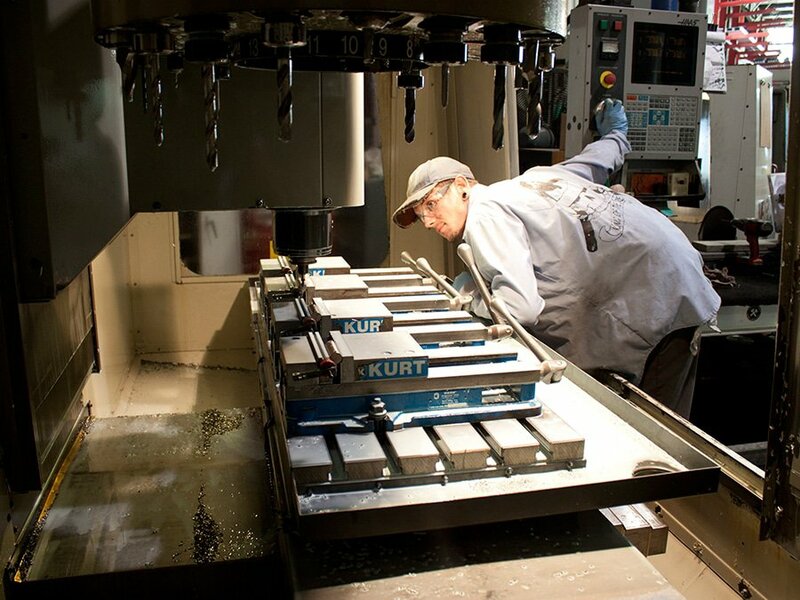 This is easily accomplished on IMM Quality lifts using our wedge locks or adjustable height bunk brackets. Raise the boat as high as your lift allows and tie it as tightly as you can to the lift. If the boat lift does not go high enough to be above storm surge levels or if you are not sure, you can try the following things. 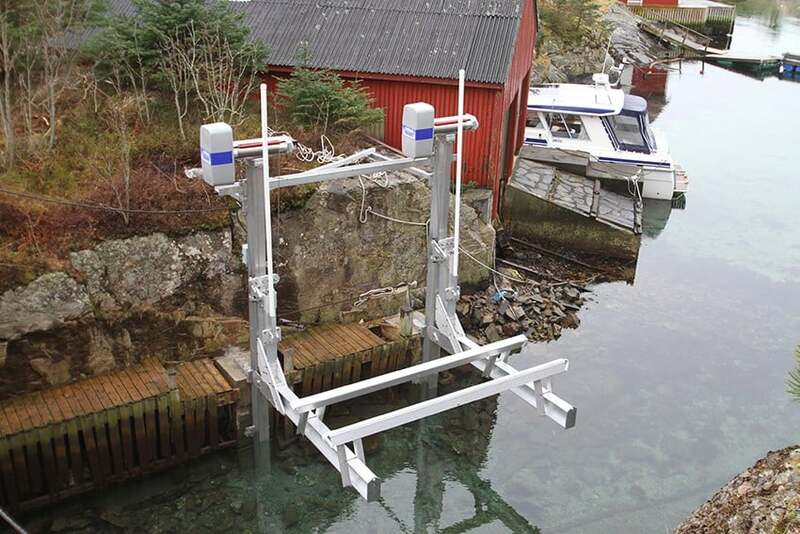 Prepare the boat and lift as described above, leaving all lift equipment installed. Slightly tilt (1-2 inches) the boat on the lift so that the rainwater will run out of the scuppers. Leave the boat drainage plug(s) in place. Pray that your bilge pumps don’t fail or become overloaded by the storm. Raise your boat as high as the lift allows but do not secure the boat to the lift. Secure long ropes to anchor points (do not secure to floating docks, use pilings) in case the surge lifts the boat off the lift. It is best to tie the lines high on the pilings, so they will not be chafed if a floating dock rides up on the pilings. Instead of using loose bowlines around the pilings, use multiple clove hitches, or a clove hitch finished with two half hitches. That way, the lines will tighten on the pilings, and are unlikely to pull off even if the pilings go under. 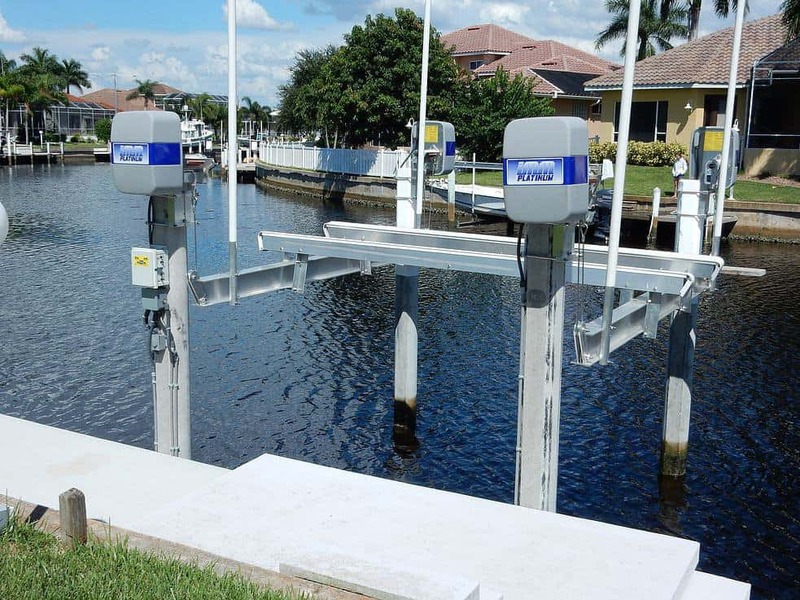 If all goes well, these steps may help keep your boat somewhat close to your boat lift. There is no way anyone blog post can cover all of the contingencies (for example, we have completely ignored insurance concerns), but we hope this article puts you on the right path. If you follow these tips and think about how they apply to your situation, you will be well prepared for hurricane season and can rest easier knowing your home and boat are as safe as possible. For more information on what to do once the weather clears up, please read our post “After a Storm: Inspecting Your Boat Lift and Dock”. Get High Quality Lifts Today! But more than that, we want you to enjoy being out on the water in your boat. We don’t want you wasting your time on maintenance, repairs, or even where to find the best boat shoes. 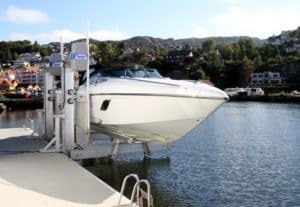 Keep visiting our blog to learn all about the boating lifestyle and Boat Lifts.